Why own a Teckel ? 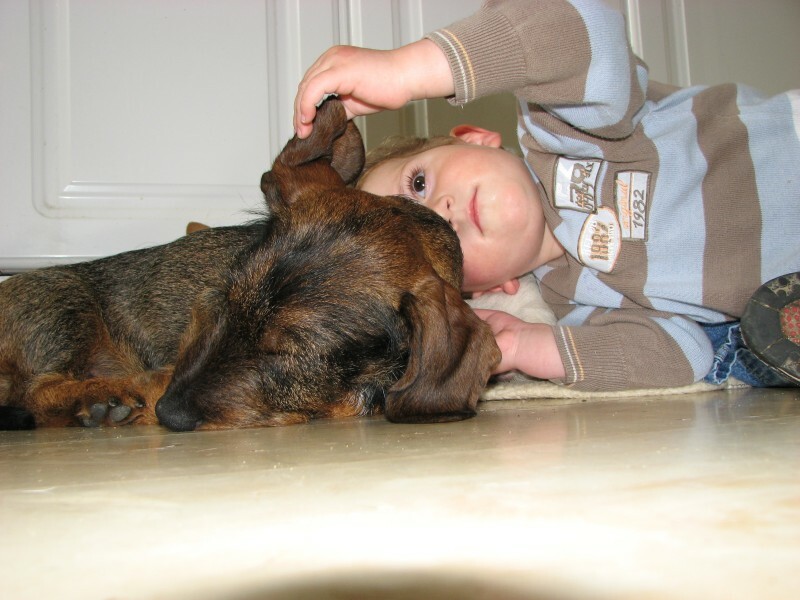 There is a lot of information out there about Dachshunds, and of course a Teckel is another name for a wire-haired dachshund. 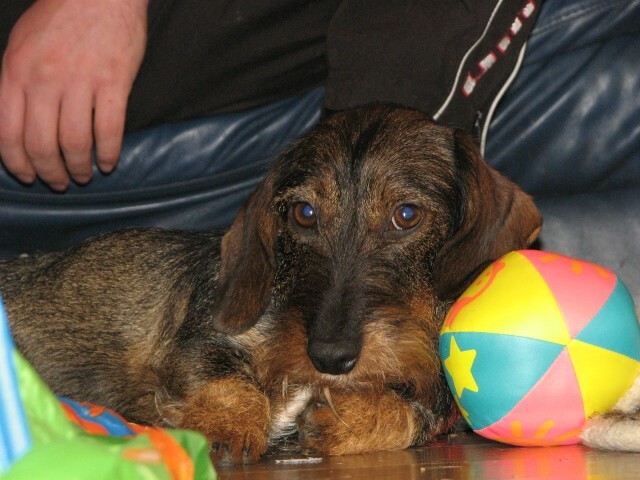 In Europe, Germany in particular, most if not all dachshunds are called Teckels. But here in the UK we tend to use the name Teckel when referring to working type wire haired dachshunds. 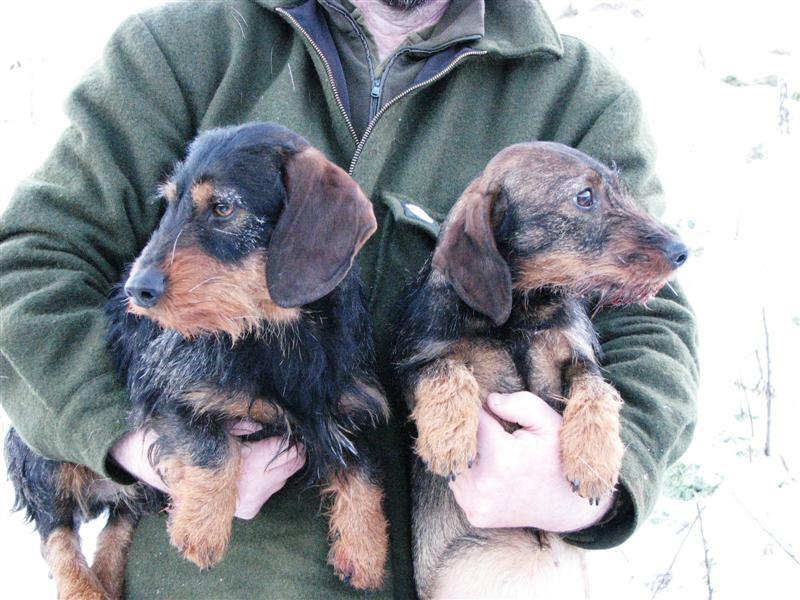 Teckels can be KC in the UK as wire haired dachshunds ! I would like to make a point about some so called wire-coated Teckels in the UK, often they are very soft and woolly, mostly this comes about by introducing terrier, or some other dog genes into the line ! apart from ruining the breed in general these type of coats quickly become a nuisance in the field and need constant maintenance.Therefore when breeding, we aim to keep our Teckels truly "wire-coated". Teckels are a great choice for anyone who stalks for deer, They have remarkable scenting abilities, and can track cold lines with ease after a little practice, and soon learn to wind deer ahead. 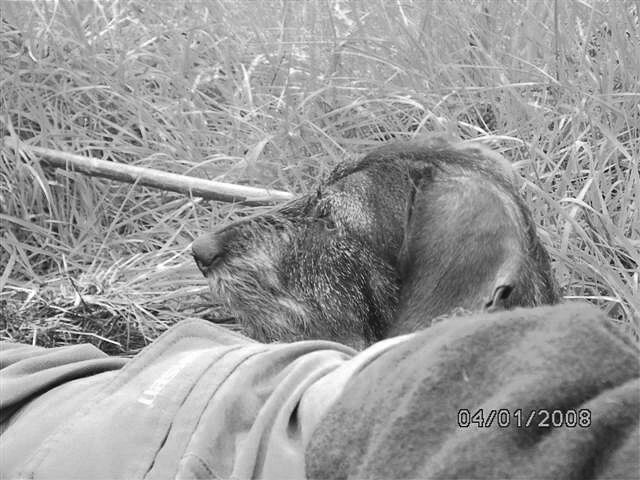 If worked on a lead they are strong but not strong enough to drag you through the under growth, as some of the larger breeds can .They are small, family friendly dogs, take no room up in a vehicle, and seemingly never tire when hunting, They are very agile, despite peoples assumptions that they can hardly walk ! ( due to seeing UK bred show dogs ) and will hunt all day if allowed too, One draw back I have found is that they can struggle when faced with large areas of long heather, especially old woody stuff. But for mixed woodland or open hill , indeed over most ground they are more than capable. Teckels are very powerful dogs for their size, and should not be underestimated. I would imagine for someone who has not had dogs before, Teckels could prove a handful, but they can be trained, and when they are, they are one of the most enjoyable dogs to own. 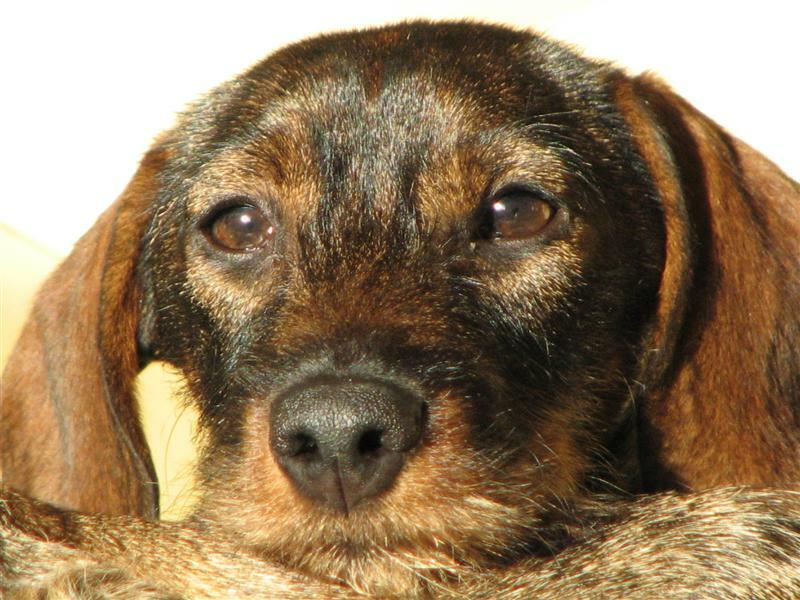 A good, well bred Teckel should have a very good temperament, towards other dogs and humans alike. I have found ours to be very, if not overly friendly towards humans and dogs! They can be kenneled or kept in the house, (I use both options). I have not found them to be destructive in any way. I have also found them to be surprisingly quite dogs; ( but have also seen some very noisy dogs, perhaps a different upbringing or breed line ) As hounds they can and do give voice when hunting free, but at home they have proven to be very quite. I have lots of livestock at home, and apart from a few near misses during the early days ! my Teckel now ignores them all, including cats! In fact she has become very friendly towards the cat! As usual it is the way dogs are brought up that dictates their behavior. My only misgivings I have with Teckels is that I have spent years wasting time on Labradors and cocker spaniels! whilst all along I could have had a Teckel.